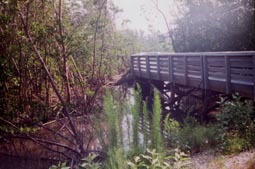 The Mud Flat Trail is a 1,556 foot boardwalk through mangroves, australian pines, and coastal mud flats. 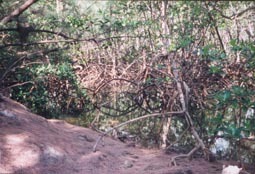 Mud flats are made of fallen mangrove leaves and occur along waterways. Even when the tide is low, the mud remains moist. Many animals use these mud flats as homes. At the end of the Mud Flat Trail is an overlook to the West Lake. 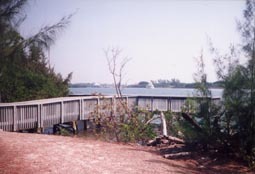 Mangrove forests can be seen on the 783 foot Fishing Pier Trail. 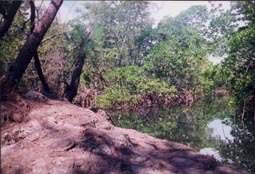 It is a scenic foot trail through a mangrove community. 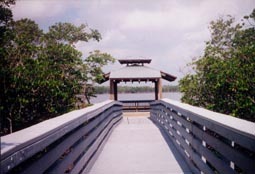 The fishing pier faces the intracoastal waterway.